Joseph Silk, a world-famous painter, has died. His grand-daughter Eva, the custodian of his legacy, travels to Berlin, where the Jewish Museum has obtained a questionnaire – the testament of the title – that the young József Zyaad, as he then was, completed on his release from a concentration camp. But having reinvented himself on arrival in postwar Britain, Silk had no desire to revisit his traumatic past – a stance that brought him into bitter conflict with his Zionist brother László, who devoted his life to memorialising the Shoah. 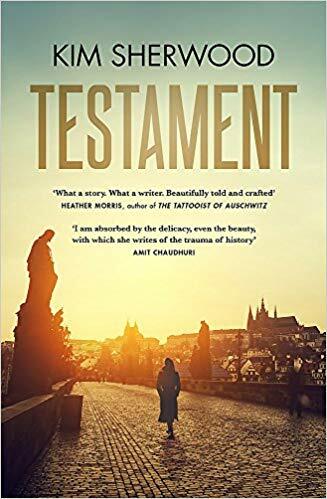 Moving skilfully between past and present, London, Budapest and Berlin, Testament is a hugely ambitious first novel. So assured is its control, so rich its frame of reference, and so sensitive its handling of unspeakable horror, that is hard to believe it is a debut, let alone the work of an author under 30. The prose is spare, precise, elliptical and richly evocative, and has a resonance and power that makes much contemporary fiction seem flat and lifeless on the page. The novel is clearly founded on extensive research: into the Hungarian labour divisions of the Second World War, the Lake District refuge for young Holocaust survivors who became known as the ‘Windermere Boys’, the ‘University of the Ghetto’ that flourished at the Passmore Edwards Library in London’s East End, and the groundbreaking 1945 exhibition of American Abstract Expressionists at the Whitechapel Gallery next door. Yet however fascinating in itself, the historical background always supports and drives the narrative forward, and is never allowed to overwhelm it. There are, perhaps inevitably, echoes of Sebald, particularly The Emigrants, which also deals with a painter-survivor, and Austerlitz, which is haunted by the ghosts of Theresienstadt, but Testament is a strikingly original achievement with its own singular insights. With great psychological acuity, the narrative explores fundamental issues of identity, survivor guilt, and the way trauma extends down to the second and third generations. As Eva’s search for the truth leads her inexorably towards her estranged and embittered father John, we discover how he in turn was damaged by all that remained unspoken in the shadow of his father’s overpowering personality and unhealed psychic wounds – and a startling family secret is revealed.